Already eaten while still hot!!! 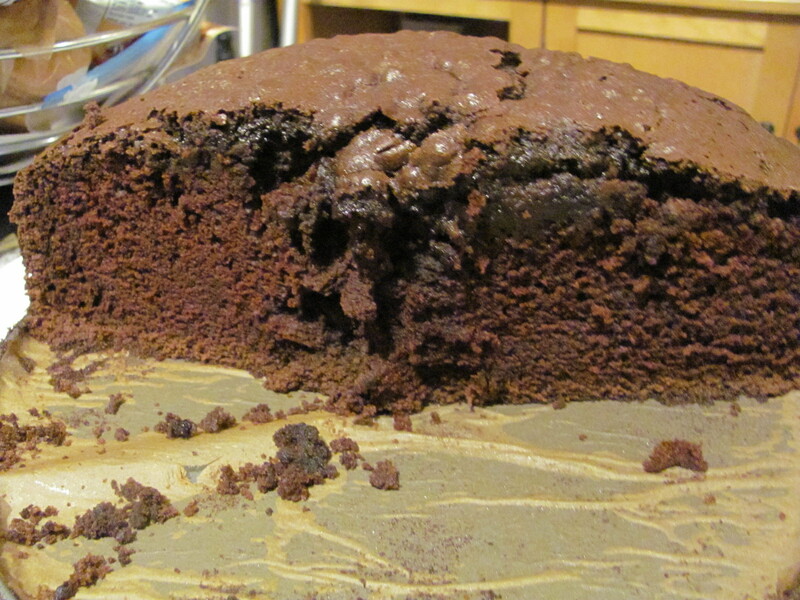 This is a rich moist chocolate cake which tastes great with or without a filling and frosting on top! 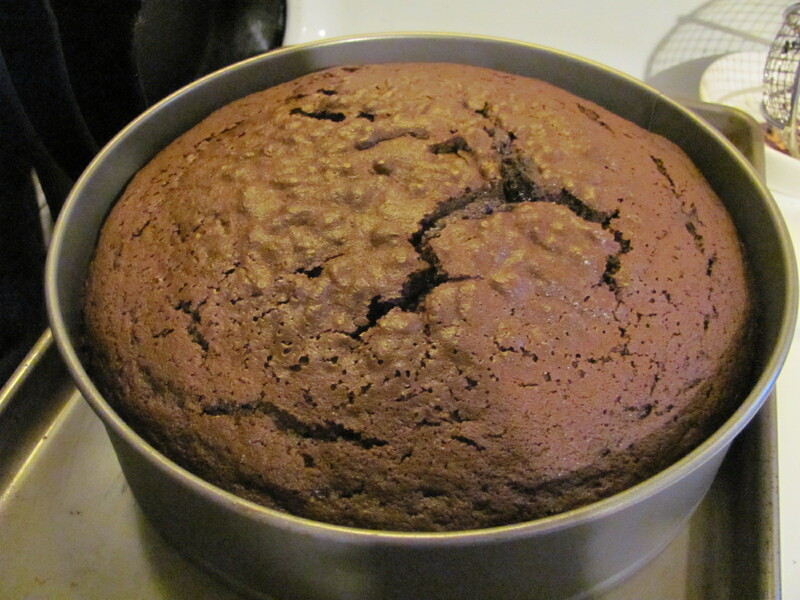 I baked it today and before I knew it my grand children and their friends had swooped down and half the cake was gone. This in my aunt’s recipe which I started baking when I was 13 and it is almost foolproof. It is a great recipe for large gatherings. I usually serve it with whipped cream or ice cream without any filling or frosting. Delicious!! Pour over the boiling water on the cocoa powder. Stir well. Cover and let cool. Line a spring form 10 inch cake pan base with grease proof paper. If you wish to layer the cake, use 8 inch round pans – 3 or 4 pans which you line with grease proof paper. Sift salt,flour,baking soda & baking powder together and keep aside. Beat together butter, sugar and eggs till light and fluffy. Alternately add the flour mixture and cocoa mixture beginning and ending with flour. Continue beating between each addition of flour and cocoa, till the cake dough is completely mixed. Add the vanilla extract and zest if using. Pour into the 10 inch spring form pan or divide it amongst the 8 inch pans – 3 or 4 of them. Bake the 8 inch pans for 30 minutes or the 10 inch pan for 70 minutes, till a toothpick inserted into the cake comes out clean. Beat the heavy whipping cream with confectionery sugar, orange juice and zest till thick. This entry was posted in Cake, Chocolate, Cocoa, Confectionery sugar, Heavy Whipping cream, orange juice, sugar and tagged Cocoa, eggs, flour, orange zest, Sugar, vanilla extract. Bookmark the permalink.